The following article appeared in the April 2014 E-Chronicle. 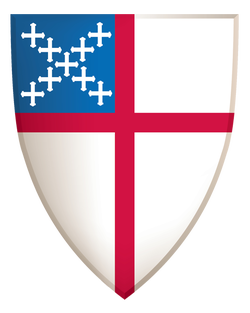 Years ago when I entered the Episcopal Church at age 30, I remember attending a Sunday service and hearing the hymn, Jerusalem, My Happy Home during the Offertory. In many ways that planted a seed of yearning to visit the Holy Land and to walk the roads and paths where Jesus himself walked during his lifetime. At the beginning of February 2014 that yearning came to fruition. Two parishioners from Holy Apostles and I went to St. George's College in Jerusalem, and took a pilgrimage course calledPalestine of Jesus. Andrew Arakawa, Dixie Kaetsu, and I spent two weeks in Jerusalem, the Sea of Galilee, and the West Bank, studying the life of Jesus in the places where biblical and historical events took place including the Nativity in Bethlehem (Luke 2:1-7), Jesus' baptism in the River Jordan (Matthew 3:1-17), Jesus' teaching and healing in Capernaum (Mark 2:1-12 & Mark 1:21), Jesus' Passion in the city of Jerusalem, and Jesus' revealing himself to his disciples on the road to Emmaus (Luke 24). But rather than give you a blow-by-blow of the two weeks, I think I'd rather share highlights of the experience with you. I am not one to shed tears easily, but I must tell you that when I knelt and touched my lips to the place where Jesus was born in Bethlehem, I got choked up. The site is in a grotto beneath the altar of an Armenian church and you have to climb down a very steep set of stairs to get to it. Descending the staircase reminded me very much of going into the waters of baptism and when I came up the set of stairs on the other side and back into the nave itself I felt like I was reemerging to new life from those waters. Words could not express my gratitude for the Nativity the way tears could. I also got very emotional at the Sea of Galilee, especially at Mensa Christi where the risen Lord appeared to his disciples and broke bread and ate fish with them at a charcoal fire on the shore (John 21:1-24). The image of the charcoal fire brought to mind the flame that we see at the Easter Vigil---that wonderful image of Jesus' resurrection that made itself manifest on the shores of Lake Galilee when he appeared to his disciples in this story. Another spiritually powerful place was the Church of the Holy Sepulcher, which is said to be the place of the crucifixion, anointing, burial, and resurrection of Jesus. One has to fight considerable crowds to navigate the different areas in the church, and I was surprised to see that the crucifixion site, the anointing site, the tomb, and the place where Jesus is said to have revealed himself to Mary Magdalene are all about 50 feet apart from one another. The sites are in such close proximity that Constantinian Christians were able to build an actual church around and above it. A couple of mornings I got up at about 4 o'clock and decided to walk down to the Old City from St. George's so that I could have some quiet time in the church right when it opened its doors to the public. I was not disappointed. On both mornings it seemed as if I had the place to myself and was able to place my hand on the rock on Calvary where they set the cross, the stone that lays where they believe the women anointed Jesus's body, the bench in the tomb itself, and the floor of the garden where Jesus revealed himself to Mary Magdalene. But if one were to ask what the highlight of the trip was for me, I would have to say it was the experience of traveling the road to Emmaus. Scholars are not certain where Emmaus actually is and they have posited four possible sites. We went to one of them, Abu Gosh, which is also referred to as Crusader Emmaus. There is a Franciscan church in the hills of Abu Gosh and I was asked to preside at our closing Eucharist there. There is a small outdoor chapel outside the church and it overlooks the valley of Abu Gosh and one can see the city of Jerusalem on the horizon. I was stunned when I realized that I was presiding in the place where Jesus made himself known to the disciples and the breaking of the bread. I was moved beyond belief. And when the service itself was over and done, Andrew, Dixie and I stared at the city of Jerusalem the same way the disciples did when they felt compelled to go back to the city and tell everyone the good news that they had seen the risen Lord. At the Emmaus Eucharist I elected to do the final blessing in Hawaiian, because I wanted home to meld with Jerusalem the way Jerusalem now melds with me back home in Hilo, which is literally half a world away. And really, in spite of the wonderful experience I had, it doesn't matter whether one goes to Jerusalem or not. The power of the risen Lord and the love of Christ make itself made known far beyond Jerusalem's city walls. That spiritual power reaches out to all the corners of the earth, no matter where we are.